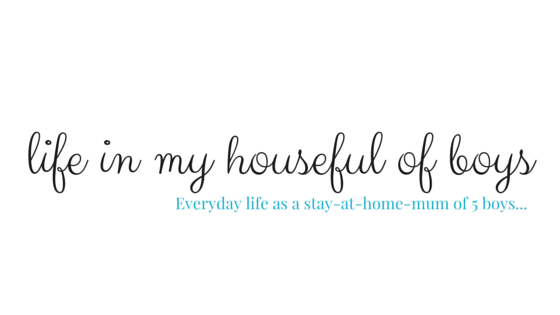 I've finally finished and gifted my massive crochet project and so have a little more time to blog again, so I can now get around to sharing about my Bake-Along bakes. As in previous years, I've set myself the challenge of baking along with the Great British Bake-Off this year. It's always been a fun thing to do, even though I do sometimes fall a week or two behind, and I definitely don't always try the more difficult of the recipes from the show. That just wouldn't be practical given that most of my baking is done with a 2 year old in tow. So, here's my progress so far. 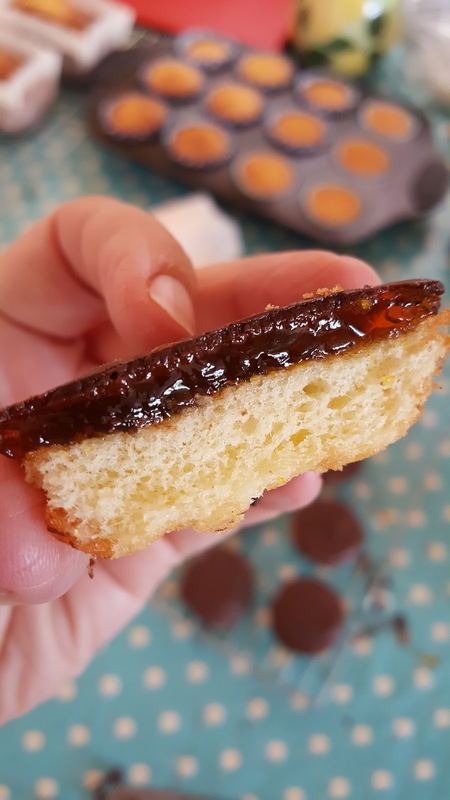 Week One Week 1 was cake week, and the technical challenge was Jaffa Cakes. 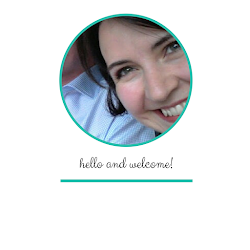 These looked pretty straightforward and so I decided that they would be the first thing I would try. 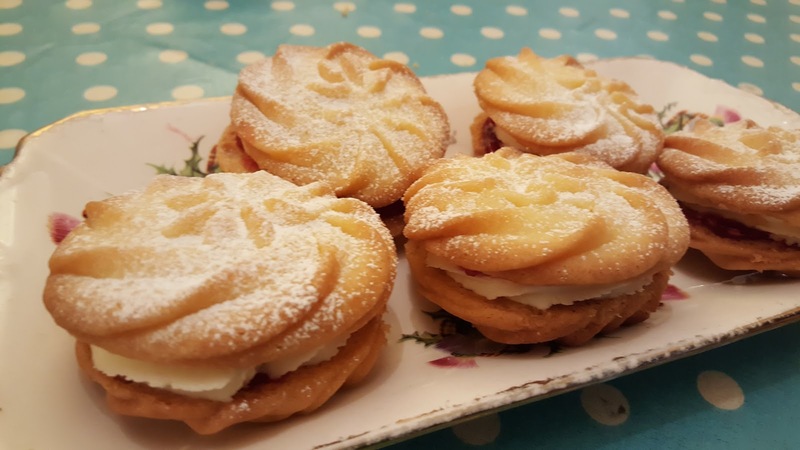 I used Mary Berry's recipe, which you can find here, but adapted it to make them dairy and gluten free. 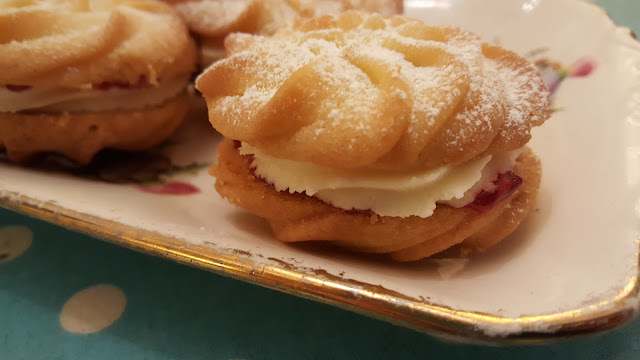 They were really easy to make, and they tasted really lovely. The taste reminded me of posher brands of Jaffa Cakes, like M&S ones. 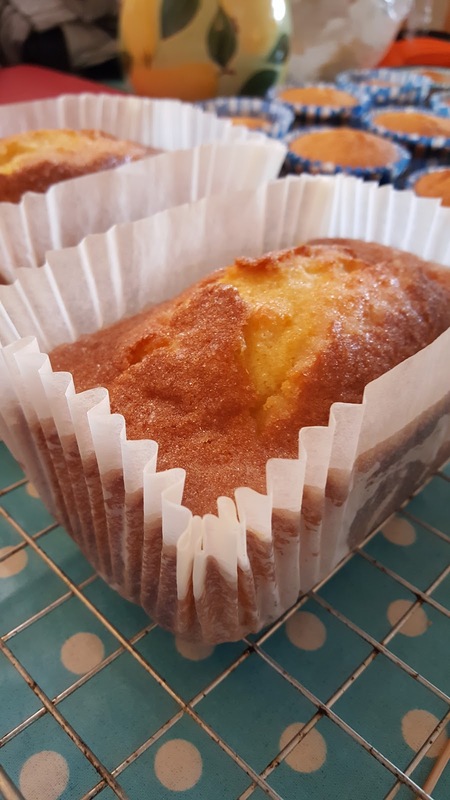 The first week also contained Drizzle Cakes, and so I made a couple of Orange Drizzle cakes, again using a Mary Berry recipe, this time from her Baking Bible. I've made these quite a few times before and they are always really popular. Week 2 was biscuit week, and again I decided to make the technical challenge, as it looked so delicious. I also didn't fancy my chances assembling a 30cm high gingerbread construction! 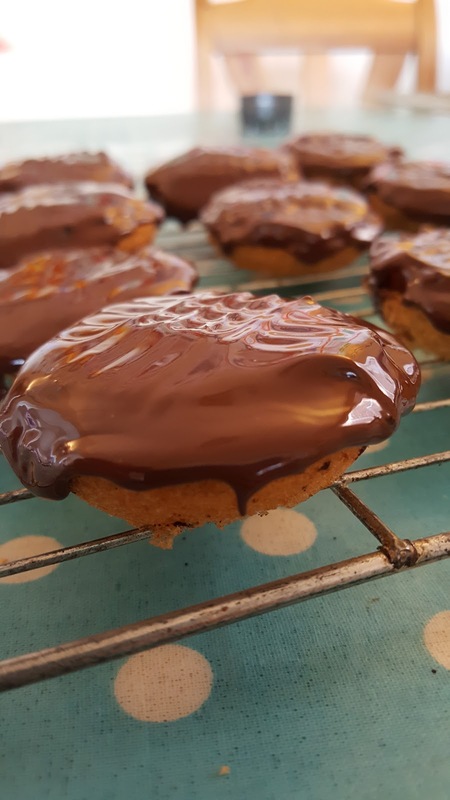 These biscuits were amazing, really melt in your mouth, and I definitely have to make another batch of them sooner rather than later! Week 3 was bread week. I don't make bread dough very often, and it's not something I have had an awful lot of success with. I think perhaps that I'm in too much of a rush to get things done and don't give myself enough time to knead properly. The only dough recipe I make with any sort of regularity is a pizza dough, using a trusty Nigella recipe from her How to be a Domestic Goddess book. I can make it entirely using the dough hook of my food mixer, which is a great time saver. Still, I was determined not to let Bread Week pass me by without trying to make something. I didn't actually think that anyone in our house would eat anything from any of the three sections of the episode and so looked through some of my Bake-Off cookbooks from previous series' for inspiration. 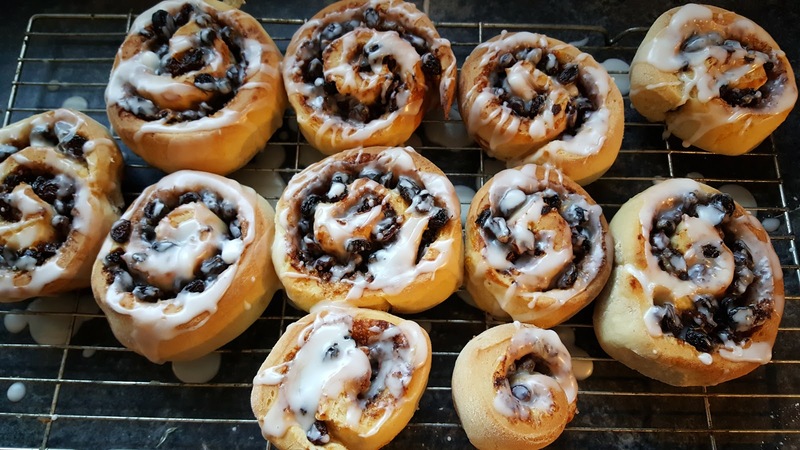 I decided to try out Paul Hollywood's Chelsea Buns from the Series 3 book, and was delighted that they were a success! 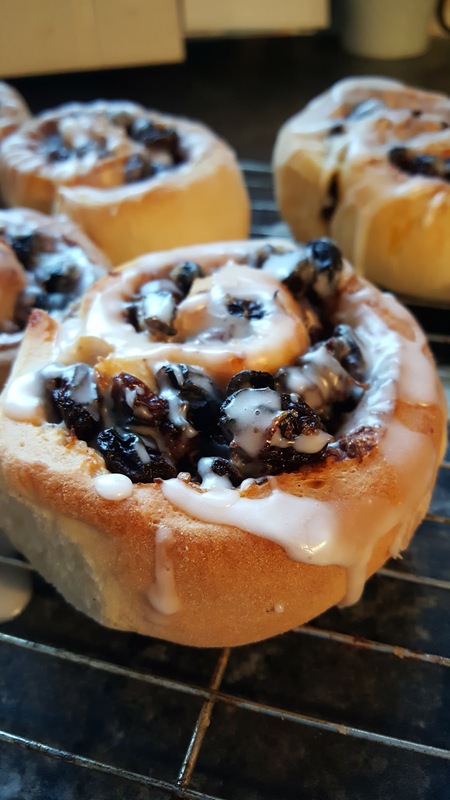 Chelsea Buns always remind me of my Granny Tong, who would buy them for us from the baker's van when it visited her village. After dinner she would put out a plate of sweet treats that often included the Chelsea Buns and her amazing Griddle Scones, which were best served with her homemade Rhubarb Jam. Buoyed up by the success of the Chelsea Buns, I decided to try my hand at Paul Hollywood's Doughnuts a few days later. Everything seemed to be going well, and the dough rose beautifully, but then things hit a snag when it was time to deep fry the doughnuts. They were so large, and the recommended oil temperature was so hot, that by the time the outside of the first couple was very dark brown, the inside was still raw. So I reduced the heat of the oil, halved the size of the doughnuts and tried again. It took quite a few frustratingly still raw in the middle doughnuts before the balance was found and they cooked right through without being too overdone on the outside. 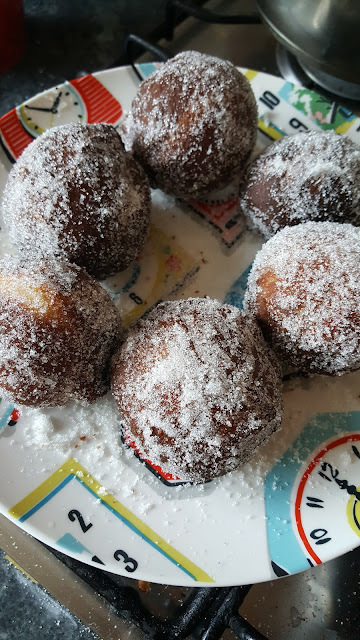 The doughnuts tasted very nice, but for all the effort that went into making them, well, they still didn't taste as good as a Krispy Kreme, and I think I'll just stick to buying them whenever I fancy a doughnut treat in the future. And onto week 4, a new category for Bake-Off this year, Batter Week. 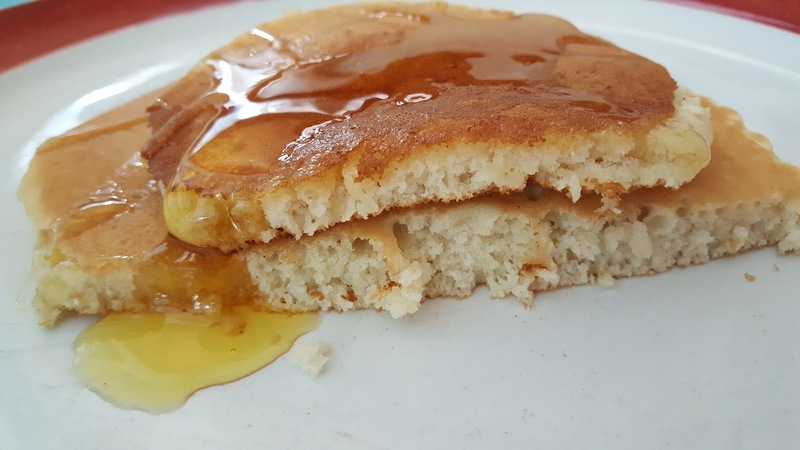 This would be an easy one to bake along to, given that nearly every Sunday morning we have pancakes for breakfast. I haven't tried making the lacy pancakes that were the technical challenge on the show, as the boys were rather horrified at how little pancake that gave you to eat! 'Where would you put the syrup?' one of them asked, and. 'that wouldn't fill you up for long!' exclaimed another. I do fancy trying them out just for fun one day, but will probably have a batch of 'proper' ones on the go at the same time. Another challenge from this episode was Yorkshire Puddings. 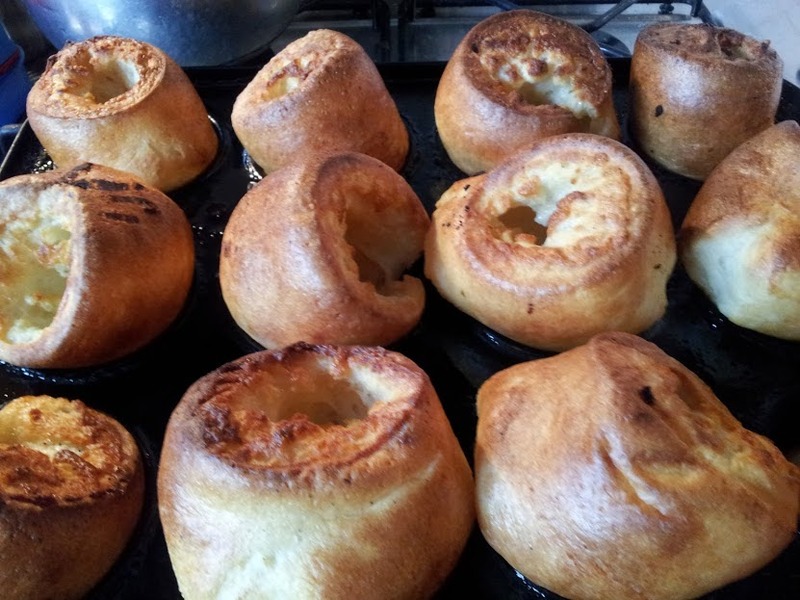 Not much can beat a Sunday roast beef with yorkshire puddings. Apart from a Sunday roast chicken with stuffing perhaps. It's a very close call in our house which of these two is the favourite. Mary and Paul asked for uniformity, which I'm sure I wouldn't have got marks for with these! I don't use a recipe for them, just 3 eggs, a good dollop of milk (maybe around half to 3/4 of a pint or so) and enough plain flour to make a batter that isn't too thick. 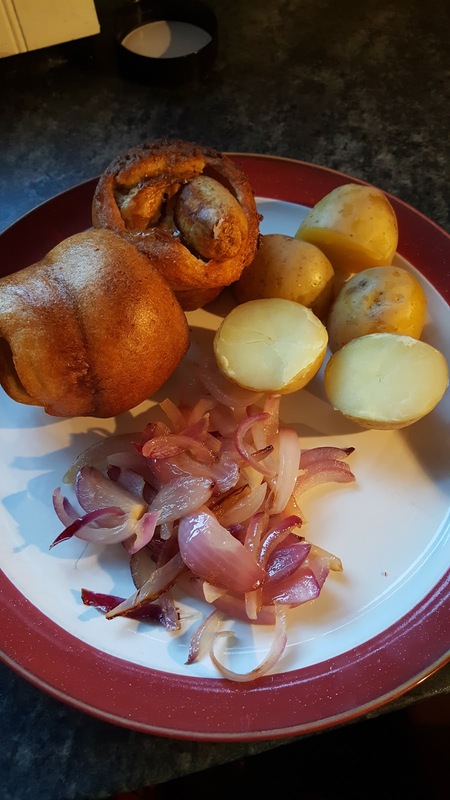 Another favourite of ours involving Yorkshire Puddings, and kind of fitting in with the challenge of making Yorkshire Puddings with a filling, is individual Toad in the Holes. They don't make the most attractive food to photograph, but they do satisfy hungry boys tummies, and they make a packet of sausages stretch out further and a budget friendly family dinner! This week the episode was about pastry. You can be pretty sure that I won't be posting about any filo pastry amuse bouches that I have made next week. Nor will I be making the Bakewell Tart given how many nut allergies are in the house! 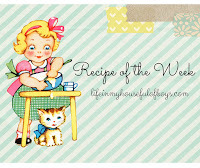 I'll just need to get my cookbooks out again and look for some inspiration for Pastry Week!